After rooting one’s Galaxy S4 smartphone, the next logical step is often changing the device’s operating system with a customized ROM. A customized ROM is an Android operating system that has been modified by fans in order to give your smartphone more features than it originally had. Here are the steps to properly install a new ROM on your device. Read to the end however since we’ll be making a few footnotes when everything is over. Do not install a new ROM until after you have read everything. Download the proper ROM for your device. By going to Settings/General and touching the “About Device” option you will find your phone’s model number. 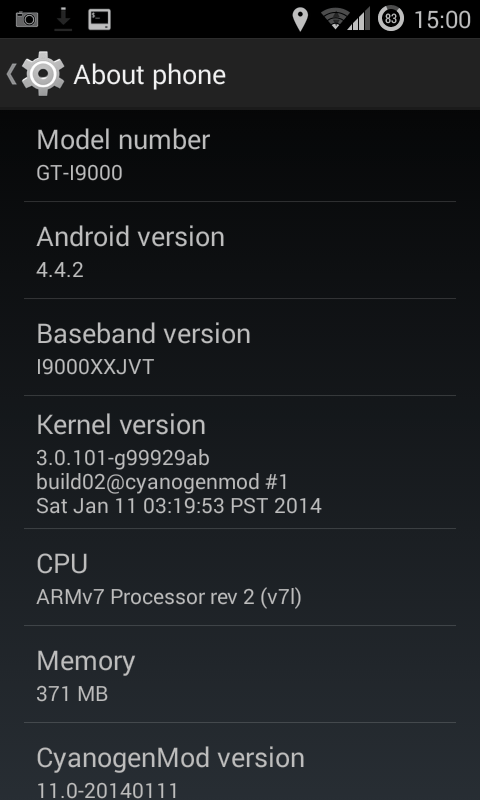 If you have a GT-i9505 device make sure the downloaded ROM is for your GT-i9505. Next, copy your ROM files to your Galaxy S4 device. Power off your phone and then hold down Volume Up, Home and the Power buttons together. You will get a screen with the “Recovery booting…” writing in blue letters. This is when you have to let go of the buttons and let it do its thing. Now that you are in CWM recover make sure you choose “Wipe data/factory reset.” It will thus erase your applications’ data and all your apps but not your SD card or internal storage contents. More on this in the footnotes. Choose “Install zip from sdcard” or “choose zip from external sdcard” depending on where you copied your ROM files. Next, find the ROM zip file and select it. After installation is complete, reboot your Galaxy S4 and you are all set. Make sure you have backup your contacts and/or messages to either your google account or by exporting them with the help of one of the many apps available on the market. Make sure your pictures and videos are also backed up since there have been cases when they were deleted as well. You may need to install GAPPS (Google Apps) for the specific ROM, in order for you to gain access to the Google Play Store and Google-specific applications. You do so by following the steps indicated above and choosing the GAPPS ROM. There is no need to do a factory reset for GAPPS. Well, this is about everything you need to know when installing a new ROM on your device. Make sure you check our previous how to regarding rooting your Galaxy S4 smartphone!